Disconnect in the middle of the chaos of the city is a dream for some and a well designed home can help us to achieve this. The idea is the dwell within a space that breathes Outdoor. That is the complicity between contrasts Susanna Cots has achieved in the Interior of this House that we teach today. The union between the inside and the outside has been the motor of inspiration of the Catalan designer located in Barcelona “Maison de vacances” housing. A name that defines very well the project of this family duplex, whose owners wanted to escape from the daily stress of the city and have clearly succeeded. Let’s see it! Susanna Cots has projected a large space that embraces the terrace of the House in a single area House, the plant top. In it, two buckets of lacquer get creating two ambiences of family communication: the kitchen and the living room, in the interior of the House and two outdoor relaxation areas. The inside is super but the exterior, as it could not be otherwise, fall in love. 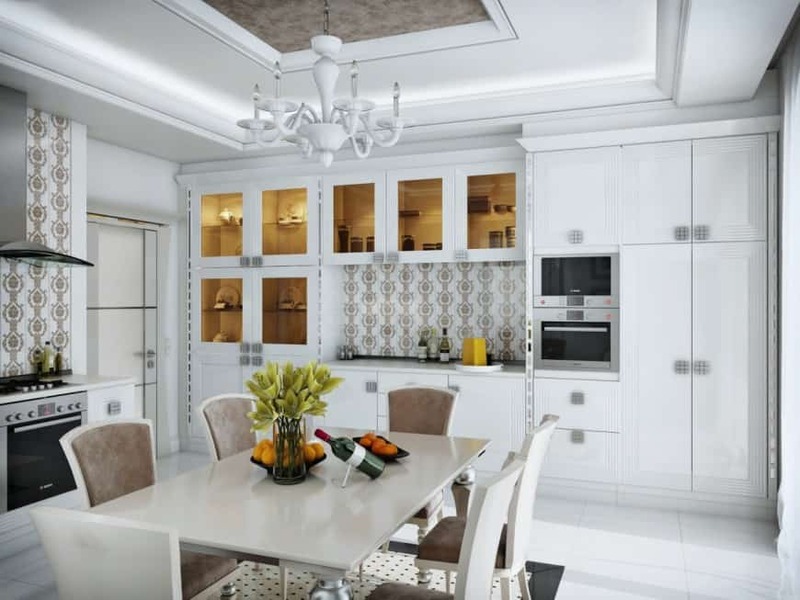 In the kitchen the interior designer has designed a set of symmetries indoor-outdoor getting that the dining room table belongs to both areas. On the other hand, in the living room has been installed a central fireplace that favors comfort and reading from two points of view. Thus we have nice options both for warm, outdoors in the cold seasons, with the fireplace in the living room. Lighting has been studied and cared for to the smallest detail has been thought to promote communication in the home and get convey the emotions and feelings of being in a holiday home. Are attached to the design concept the use of noble materials and white, as indisputable seal of the study led by Susanna Cots. A sober but elegant staircase connecting the two floors of the House. In the lower part of the housing have been projected two suites with bathroom in each of them, to give you an idea of as it is their style have the images under these lines. If you like some detail in particular and those interested in bring it to your House, I give a little information about the project. The kitchen is Zania, parquet, natural oak, Parador and linings of the bath of Vives and Porcelanosa. The lighting that emphasizes both in housing is of Artemide, There is, Temasv sofa and armchair of Delaespada chairs. Much of the furniture created by Susanna Cots to measure for this project, and also must highlight the textile articles, which are of Teixidors and Maison de Vacances. It’s all so beautiful, that really feel like to move, do you agree?